Brown biotechnology is a branch of biotechnology that is related to the management of arid lands and deserts. The brown color represents the brown soil in such an area. Brown biotechnology is also called Arid Zone and Desert Biotechnology. The technology aims at making a beneficial impact by using improved disease-free high-quality seeds and makes the rational use of water in low-rainfall areas. Deserts and arid lands make a large part of the earth. Especially, in a continent like Africa, where two-thirds of the area is desert or drylands, arid soil condition has a major impact. Half the Africa’s population live in these desert. Also, they are among the poorest countries in the world, with meager national resources and only primary level education. Likewise, there are inadequate technical infrastructures and weak or negligible technological base. And the dry arid soil has been the reason for all these deficient in the desert. While primary necessity as feeding the stomach has become a major issue in these areas, other infrastructure like health and education goes un-noticed. Feeding the population in such area is what Brown biotechnology is all about. Brown biotechnology considers crop management in the arid lands and deserts. It targets to develop the crop that could stand the extreme climate of the arid region and grows well. Brown biotechnology combines nature with technology for the treatment of arid and desert soils with the species that are highly resistant to dry and saline soils. Brown biotechnology focuses creation of enhanced seeds to resist extreme environment of arid regions in relation to the innovation, creation of new agriculture methods and management of resources. Also, it’s about using the micro-organism and other livestock animals that can be useful in an arid region. Brown biotechnology have been known to make a notable impact in the life of people in the arid region- especially in the agriculture sector. Here are some of the markable impact Brown biotechnology have made in the lives of people in the desert area. Developments of genomic resources in SAT crops have made the “orpan” crops the ‘genomic resource-rich’ one. With next-generation sequencing several quantitative trait loci have been identified targeting the introgression into elite lines, using MABC. By this technique, they have discovered drought tolerance, resistance to fusarium wilt and ascochyta blight in chickpea along with rust in peanut. ICRISAT- International Crops Research Institute for Semi-Arid Tropics (ICRISAT) released the downy mildew resistant pearl millet named ‘HHB 67 Improved’ as the first public-bred product of DNA-marker-assisted. Around 300 improved cultivars of the plant have been released among the mandate crops ( chickpea, groundnut, pigeonpea, millet, and sorghum) for the arid regions. Swedish architecture student, Magnus Larson, recently did an experiment that can be practically implemented. His work on the concept of stopping the spread of the Sahara desert by using Bacillus pasteurii bacteria. This bacteria excretes calcium carbonate and gluing substances and are able to set the dunes like a block of concrete after twenty-four hours. Bacillus pasteurii can construct a wall of 6,000km between Djibouti and Mauritania. He suggested the possibility of forming a wall from the existing sand dunes trough covering the dunes with these bacteria that are commonly found in wetlands regions. Bacillus pasteurii are non-patogenic bacteria that die in the process of solidifying the sand. 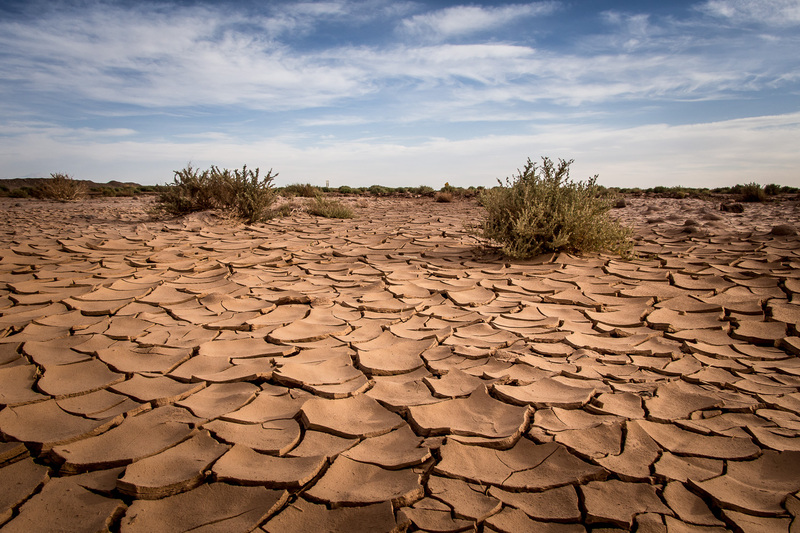 While the world is making an immensely impressive technology improvement and scientific discoveries, the arid regions are still struggling for the food. Brown biotechnology thus aims to uplift their economic and social status and make them match the pace of the rest of the world. The future of Brown biotechnology relay on GMO for the highest yielding crop with minimum water requirement. Making the use of micro-organism extract as a substitute for nutrient and water in such region is other possible development. Further, food preservation in such a high-temperature with low cost is something Brown biotechnology would be working in the future.